This is a game that if you’re buying on a whim, you’ll probably have regrets. 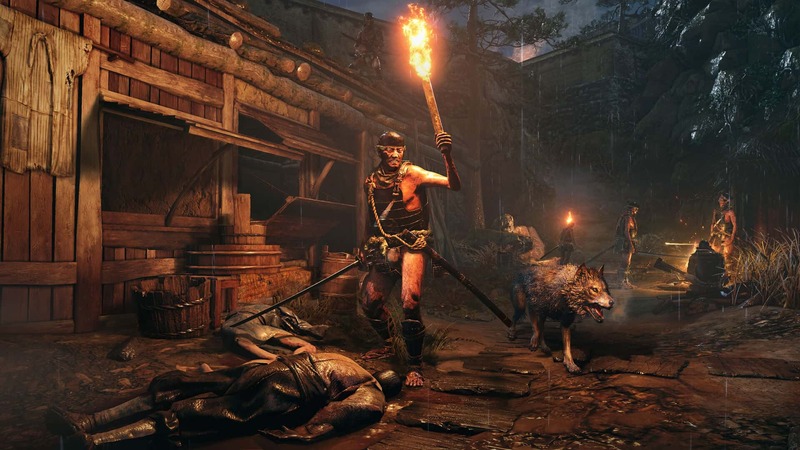 Straight up, if you enjoy playing any of the Dark Souls games or played Bloodborne, then Sekiro will suit you, if you didn’t like those you may find yourself disliking Sekiro as it’s much like these games. The story takes you to a reimagined 16th century time period, you play as a shinobi, who you’ll know as Sekiro. He was left for dead, than awakens missing a piece of himself. From that moment revenge is all he sees for the fact he was left to die and for having is lord kidnapped. I’m not a fan of the games from the developer FromSoftware, but I went in with an open mind, even though I knew once the door had opened it wasn’t going to be anything but difficult. The rage train was coming and I was it’s only stop! For that very reason I picked my least favourite Playstation controller in the event I threw it in frustration. Sekiro is a single player game, no friends can join and help. The beginning of the game shows you how to use stealth to your advantage, but soon enough that’s put to the side and you’re out in the open, carving up dudes left and right. Some enemies are “easier” than others but once you face bigger enemies you’ll soon have your patience tested. Dying happens a lot in any game made by FromSoftware, you’ll lose count soon enough. It’s easy to die, one wrong turn is all it takes and your dead. There’s no difficulty setting, as you progress through the game it only becomes more difficult. You’ll can find yourself trapped in a loop at times, killing multiple enemies, only to be stopped at a much harder one and dying. Which then resets you, forcing you to redo what you had previously done already instead of putting you in front of the enemy you were defeated by, it can get frustrating in those moments. I was screaming at my television to get the ‘eff back up!!!! Brutal combat is what the guys at FromSoftware do brilliantly. You’ll have a sword that can deal lots of damage. Timing is key because just one miss timed deflect can have you dead. Whilst in combat, sometimes it’s just one enemy, other times it’s a number of them attacking you at once. You can be knocked to the ground and when that occurred I was screaming at my television to get the ‘eff back up!!!! You just seem to lay on the ground like a turtle on its shell for far too long. Once you master deflecting attacks and countering them, killing becomes easier. There are many types of kill stances too, from in front or from behind, each looking as brutal as the next, blood squirts out when you slash or stab the neck. Whether it’s in battle or running around you’ll rely on your prosthetic arm too. It can be transformed into a grappling hook and finding more parts will have it to doing even more too. The HUD is basic, showing your health bar and access to your quick items. If you happen to be low on health and carrying health you can access that in the quick items menu to replenish it. Looting enemies once their dead is a must, you’ll pick up money along with other items. When I saw the footage for this title at E3 2018 I thought, wow that looks great on a visual aspect, it looked promising, but games can look amazing at E3 and not so much when they eventually launch. Sekiro: Shadows Die Twice looks pretty good on the PS4 Pro and even on the Xbox One X but it could have looked far better. The difference between both PS4 Pro & Xbox One X is so minor, most will find it hard to know which is the Sony or Microsoft console. As for base hardware, the game looks pretty good for what they can do. Resolutions for both high end consoles is the same being 1800p, base PS4 1080p and base Xbox 900p. Now frame rates are uncapped on the Xbox One X & PS4 Pro, anywhere from 30fps to mid 40s on average, base consoles will sit mostly at 30 frames. Having playing on the PS4 Pro the frame rate wasn’t really an issue. Sekiro also has support for HDR. There were moments where I thought Sekiro shined visually, the first moment is when the game has only just started and a man is struggling along a path and the trees around him have such beautiful bright red and orange leaves. The cut scenes can also look pretty good as well. In the real world, if we injure ourselves and cause bleeding it’s always red right? 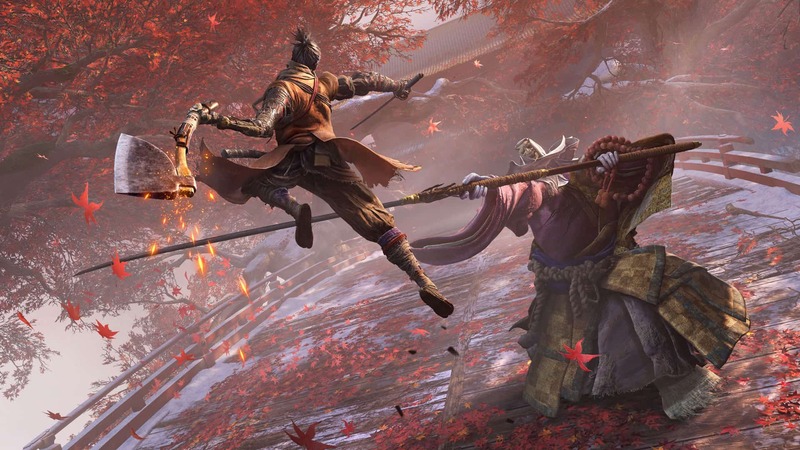 Not in Sekiro it isn’t, instead it’s orange, was it just an artistic choice? No matter the reasoning for blood colour it looked pretty awesome. Sekiro is a serious game, Sekiro plays music most of the time. It’s music that suits the 16th century time period and was moving at times whilst I played. Aside from the music, when in battle the sound of swords cutting the air is heard and when slashing enemies. You’ll interact with NPCs and they’ll speak, language options can be English or a few others. 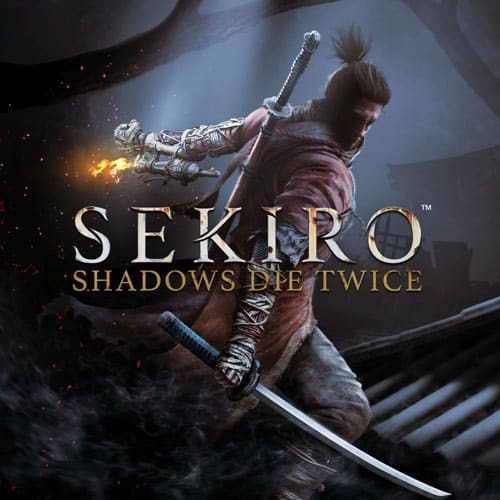 So what’s my verdict on Sekiro: Shadows Die Twice? I never played any of the Dark Souls games, however I have played Bloodborne, so I can share that FromSoftware have made yet another difficult game to complete. Masters of the previous titles FromSoftware have created might have no issues with difficulty but a lot of gamers might steer clear, especially casual gamers. 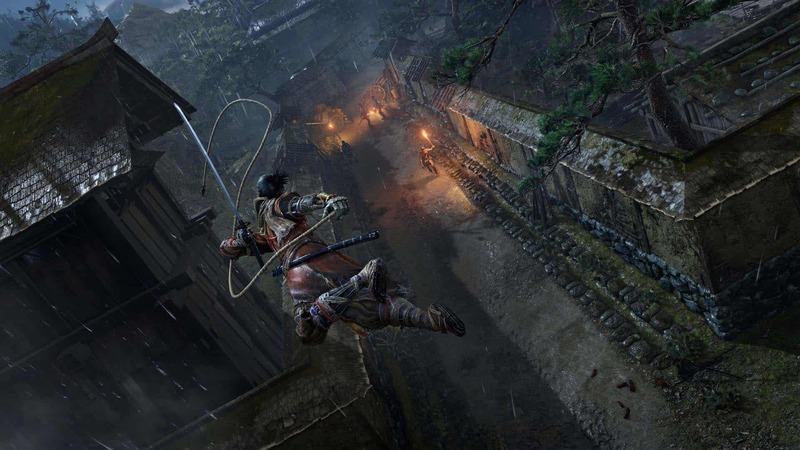 If you love a challenge or think you’re the ultimate gamer, purchase Sekiro: Shadows Die Twice.